On Hot Gay Statues: Miami Nice! In which The Gay Recluse holds a contest. Sort of. 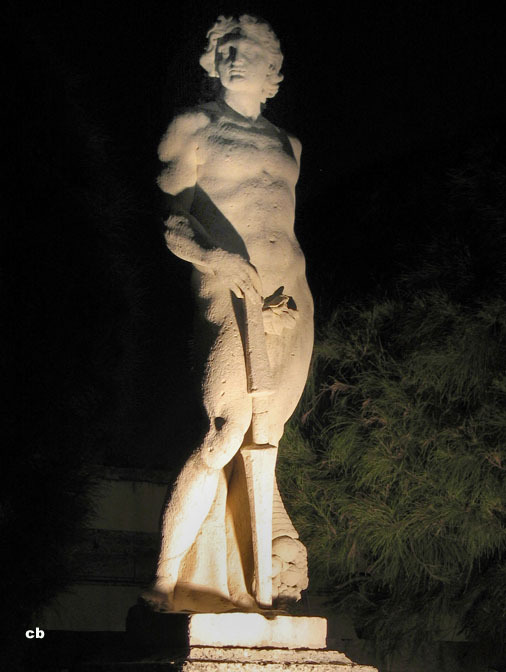 We’ve been wondering what the story is with Miami, which is supposedly a pretty gay city but is notable lacking in the Hot Gay Statue Roundup. 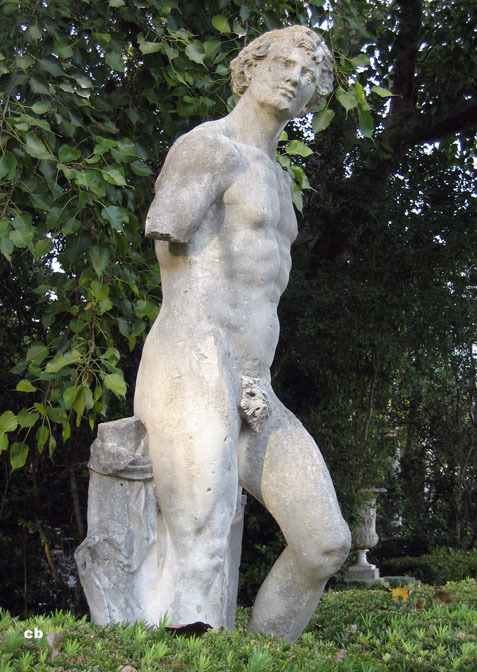 [These statues are in] the gardens at the villa of Vizcaya, south of Miami. Vizcaya, a Venetian-style palace with formal gardens on Biscayne Bay, was completed in 1916 by the industrialist James Deering, who filled it to the brim with art and treasures from Europe. He never married, and counted among his friends the gay society painter John Singer Sargent. Later in life he became something of a recluse, and on his death, he bequeathed much of his fortune to art institutions, and the estate itself to his nieces. A public museum today, Vizcaya is the home of the iconic, circuit White Party every November. Deering might have appreciated the irony. Sounds enticing. Let’s take a look, shall we? Hey, are you here for the White Party? Woahs, you’re a hot gay statue! Obviously nothing can hide how hot and gay this guy is. Thanks, CBNY — these are some smokin’ shots! Miami owes you a serious debt of gratitude for putting them on the map. We wonder how long other cities not presently on the list will continue to suffer the indignity. San Francisco, Boston, Chicago? Sad. San Francisco can be quite civic-minded with its fountains, parks, and picturesque antique trolleys, but it oddly lacks the studly statuary one would expect from a gay epicenter. Yet there are Rodin’s hunks at the Legion of Honor. Somebody must have some good shots of ’em.